Introduction: Stephen P. Halbrook is a Research Fellow with the Independent Institute who has argued and won three constitutional law cases before the U.S. Supreme Court. He has taught legal and political philosophy at George Mason University, Howard University and Tuskegee Institute. Dr. Halbrook is the author of eight books including, most recently, Gun Control in the Third Reich: Disarming the Jews and Enemies of the State (2014), The Founders Second Amendment: Origins of the Right to Bear Arms; Securing Civil Rights: Freedmen, the Fourteenth Amendment, and the Right To Bear Arms, That Every Man Be Armed: The Evolution of a Constitutional Right, A Right to Bear Arms: State and Federal Bills of Rights and Constitutional Guarantees and Target Switzerland (also in German, French, Italian, and Polish editions). Dr. Halbrook holds a Ph.D. in social philosophy from Florida State University and a J.D. from Georgetown University Law Center. 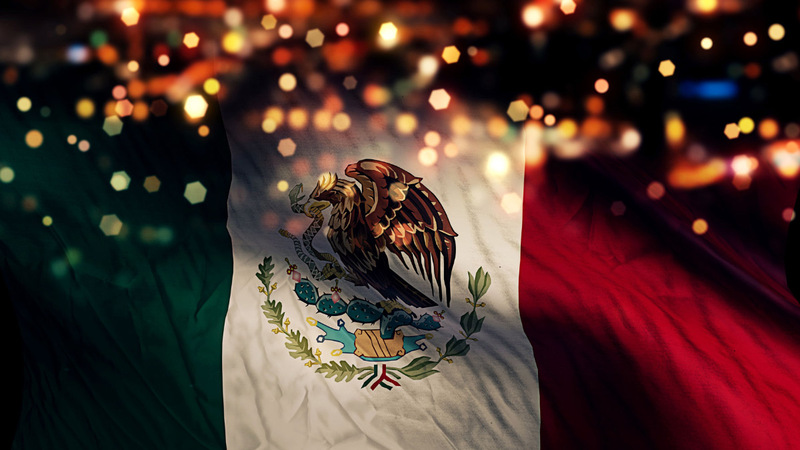 His popular articles have appeared in The Wall Street Journal, San Antonio Express-News, Environmental Forum, USA Today and the Washington Times. He has appeared on numerous national TV/radio programs such as The Phil Donahue Show and programs on Fox Business Network, Court TV, Voice of America, CNN and C-SPAN. Daily Bell: Thank you for speaking with us. 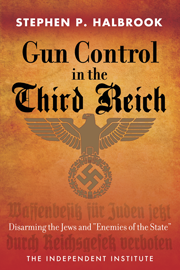 Please tell us about your most recent book, Gun Control in the Third Reich: Disarming the Jews and Enemies of the State. It is based on newly-discovered, secret documents from German archives, diaries and newspapers of the time. Where did these documents come from and how did you gain access to them? Stephen Halbrook: I spent several years working with a German archive specialist searching records in numerous archives in Germany, most of which had been secret or had never been published. I also went through period newspapers, diaries and other long-forgotten documents. These records produced a wealth of information and formed the basis of the book. Daily Bell: You point out that books on the Third Reich and the Holocaust typically fail to mention laws restricting firearms ownership, which rendered political opponents and Jews defenseless. Why is that, do you think? 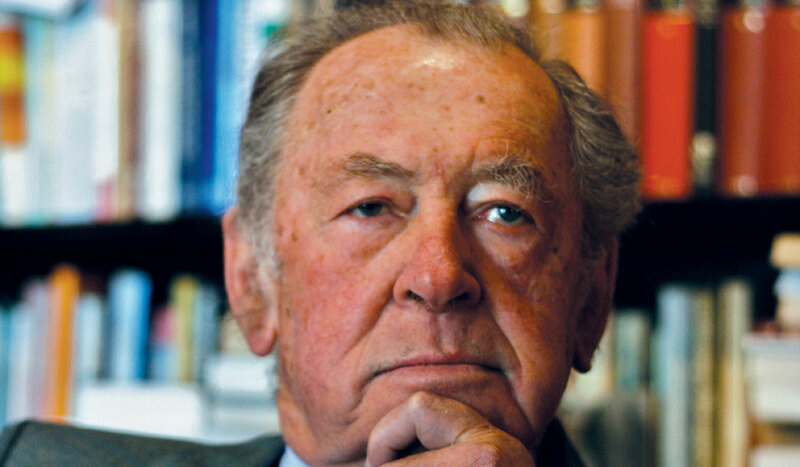 Stephen Halbrook: Disarming the politically unreliablethe Social Democrats and members of other political partiesand the Jews was of great significance to the Nazis in consolidating their power. It is astonishing that virtually no mention of the subject appears in any of the thousands of books on Nazi Germany. I remain at a loss to understand why. Daily Bell: What was the National Socialist regimes attitude toward an armed populace? Why was it apparently imperative to them to suppress firearm ownership? Stephen Halbrook: Dictatorship is inconsistent with an armed populace because that means power in the hands of the people. One after another, different elements of society were disarmed. At the same time Nazi thugs were armed so they could beat, incarcerate and kill anyone they wished. Daily Bell: Gun Control in the Third Reich reviews this suppression over 20 years, beginning with the Weimar Republics birth in 1918 through Kristallnacht in 1938. Can you summarize for us the progression of gun control across this period? Stephen Halbrook: The Weimar Republic responded to the violence in the streets by enacting gun licensing in 1928 and decreeing registration in 1931, albeit warning that the records should not fall into the hands of radical elements. The ultimate radical elements seized power in 1933 when Hitler became chancellor. Political enemies were immediately disarmed and political parties were smashed. In 1938 the Jews were disarmed in the weeks leading up to the Night of the Broken Glass. Daily Bell: You point out that heroic efforts at armed resistance occurred in occupied countries in spite of the fact the Nazis had decreed the death penalty for possession of a firearm. Elaborate, please, with a couple of examples. Stephen Halbrook: In all occupied countries armed partisans fought back. 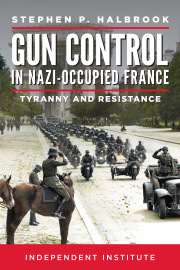 In France, many had disregarded the 1935 gun registration law decreed by Pierre Laval, so when France was occupied in 1940, the police could not identify all gun owners. Many protected themselves with arms while assisting the Allied effort with sabotage and espionage. The heroic Warsaw Ghetto Uprising of 1943 temporarily stopped the deportations to the death camps, and many partisans escaped to fight in the forests. Daily Bell: Are there parallels between todays policies in Western countries and those of this earlier period of time, and specifically with the National Socialist regime? 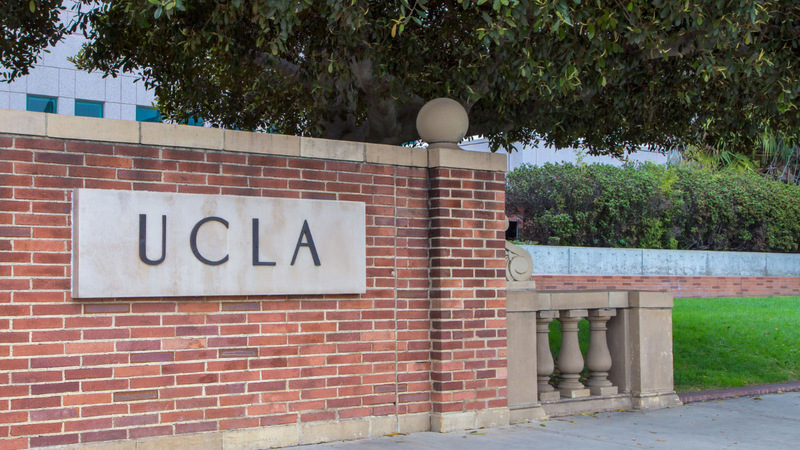 Stephen Halbrook: A likelier parallel is with the Weimar Republic, which imposed onerous firearm restrictions on law-abiding persons, which had no effect on criminals or extremist elements. Supporters were too naïve to anticipate how those restrictions, along with empowering the executive branch to rule by decree and to suspend civil liberties, would be used to win and consolidate the Nazi dictatorship. Daily Bell: Why are Western countries evolving toward this sort of authoritarianism? Stephen Halbrook: The EU, consisting of unelected bureaucrats, dictate to the member countries. The people have no voice. In 2013, the 80th anniversary of Hitler taking power, Germany proudly announced that it was the first country to fulfill the EU requirement of complete electronic records on all legal gun owners. Daily Bell: Lets back up. This is certainly not the first book youve written about gun control. How did your interest in second amendment/gun control issues evolve? And your interest in Nazi history? Youve written numerous books on it. 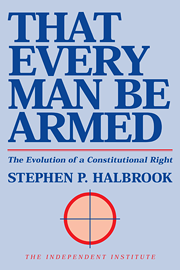 Stephen Halbrook: My first book, That Every Man Be Armed, traced the right to arms from ancient Greece and Rome through modern times. 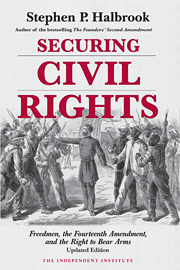 That was followed by Securing Civil Rights: Freedmen, the 14th Amendment, and the Right to Bear Arms, which detailed the extension of Second Amendment rights to African Americans during Reconstruction. The Founders Second Amendment focused on the origins in America. I had been studying the Nazi experience during this entire period. Stephen Halbrook: Switzerland was an oasis of democracy in a sea of tyranny. Its tradition of the armed citizen organized into a militia army dissuaded a Nazi invasion. Daily Bell: What about The Swiss and the Nazis: How the Alpine Republic Survived in the Shadow of the Third Reich? Stephen Halbrook: This book focuses on the actual Nazi invasion plans and on how the Swiss resisted becoming part of the New Order in every way from satire to plans for total resistance, told in part through interviews with Swiss who lived in those days. Daily Bell: You originally wrote your extensive history of the right to bear arms from Greek/Roman times through to the present, That Every Man Be Armed: The Evolution of a Constitutional Right in 1984, updated in 2013. 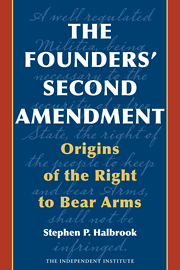 The Founders Second Amendment: Origins of the Right to Bear Arms was published in 2012. Can you very briefly summarize what youve concluded regarding this right? Stephen Halbrook: The ability to defend ones self, family and community from the violence of criminality, tyranny and invasion is a basic human right and a fundamental civil right. The right ebbs and flows throughout history as the pendulum swings back and forth between freedom and slavery. Daily Bell: This is a controversial subject, of course. You must be aware of Dr. Edwin Vieiras work on the second amendment and militias in the US. Do you share his point of view? Hes advanced some controversial ideas. Stephen Halbrook: Dr. Vieira has focused on how the right to keep and bear arms promotes a well regulated militia, which is necessary to the security of a free state. That may be controversial to some, but it is the basic postulate of the Second Amendment. Daily Bell: Can you expand? Stephen Halbrook: Those who vehemently oppose this part of our Bill of Rights will never get it formally repealed, but they will ever be trying to gut it, and they will find judges who uphold that. Daily Bell: How is gun ownership under attack today in the US and the West generally? When did this really begin in the US was there a specific point at which we moved from the original intent of the Second Amendment to the increasing limiting of gun rights? Stephen Halbrook: Restrictions in the US on the human right to arms and defense began during the epoch of chattel slavery. That was abolished. Prohibition of alcohol generated organized crime, which in turn generated efforts for gun restrictions, but World War II made gun control irrelevant. The 1960s and thereafter saw unprecedented efforts by elements of the establishment, including the judiciary, to relegate the Second Amendment to the dustbin of history. It did not succeed. Daily Bell: Can you summarize how the right to bear arms is under attack in the US at the moment? What are the most recent methods of discouraging gun ownership? Stephen Halbrook: Some states have passed repressive laws making it verboten to acquire, possess, or carry guns without onerous requirements. The same states arbitrarily ban certain firearms that are possessed by law-abiding citizens for lawful purposes by called them pejorative names like assault weapons. But most states by and large respect Second Amendment rights. Daily Bell: As you note, the attacks have not been especially successful. Will they ever cease or do you anticipate more, continuing attacks? What new strategies might be adopted? 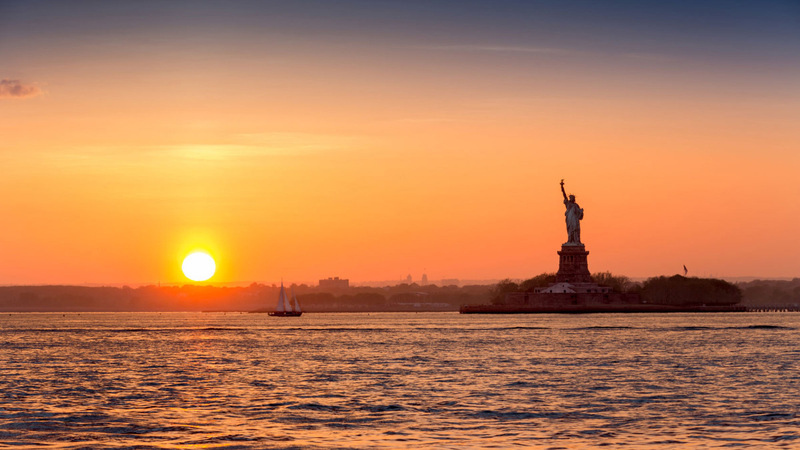 Stephen Halbrook: Attacks on liberties of all kinds will always exist by power elites, social engineers and special interests who raise money promising panaceas for every kind of social ill. Their strategies will continue to be based on never letting a good tragedy go to waste. Daily Bell: Tell us about the three cases you argued before the Supreme Court and won. Stephen Halbrook: The cases I argued involved a gun maker standing up to arbitrary bureaucracy by the ATF, local sheriffs challenging federal mandates that they enforce federal gun laws, and defendants in the Waco tragedy whose right to jury trial was violated in gun law prosecutions. In DC v. Heller, I represented a majority of members of Congress in an amicus curiae brief against a handgun ban. All of these cases were successful. Daily Bell: Whats your take on the NRA? We think it serves as a kind of Trojan horse. Stephen Halbrook: Without the millions of members of the NRA, it is doubtful that Americans would continue to enjoy Second Amendment rights. The Canadian Shooting Sports Association does a great job protecting the rights of Canadian citizens. The recent abolition of the gun registration boondoggle in Canada was a major step forward. Daily Bell: What group or organization is most effective in standing up for gun rights these days? Stephen Halbrook: The National Rifle Association of America, based on the power of its millions of members, is the most effective. But numerous grass-roots groups, state associations and other organizations play an essential role. Daily Bell: What are you most concerned about in the USin particularregarding gun rights? Stephen Halbrook: President Obama together with politicians and judges who despise the Second Amendment. Daily Bell: What about the EU? Whats the state of gun control in Europe? Does it vary by nation? Stephen Halbrook: Europe never learns. Gun registration laws facilitated the disarming of countless resisters and the execution of countless more by the Nazis. Yet the EU mandates universal registration of gunslegal ones, that is. Despite much pressure, the people of Switzerland voted against joining the EU. Daily Bell: Europeans dont seem as concerned about gun control as those in the US. Why not? Stephen Halbrook: James Madison wrote in The Federalist Papers that, unlike in America, the European monarchiesdespite their massive standing armiesare afraid to trust the people with arms. But many European gun ownerssport shooters, hunters, collectors and persons who simply want to protect themselveswould very much like to have their rights recognized. Daily Bell: Given the recent shooting of a soldier on Parliament Hillnotwithstanding the steadily decreasing rates of crimes involving guns in Canada  will we see an uptick in fearmongering and arguments for increased gun control here? Should we? Stephen Halbrook: The perpetrator was an Islamic terrorist with a criminal record. The same week, another terrorist used an automobile to run over two soldiers in Quebec. More such attacks will come. No convincing case can be made from this threat to disarm law-abiding Canadians, but the pitch will be made. Daily Bell: What about Asia? Can you comment on gun control policies there? Stephen Halbrook: Chairman Mao said that political power grows out of the barrel of a gun. That is why the Communist Party has always repressed gun owners and anyone opposing its rule. Daily Bell: Any important judicial decisions or other political developments you want to mention? 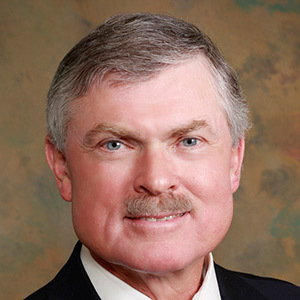 Stephen Halbrook: The Supreme Court decided cases protecting Second Amendment rights in 2008 and 2010. Since then, it has not taken any further cases on the issue. Meanwhile, the lower federal courts have been rendering conflicting opinions. Some of these opinions resist the teachings of the Supreme Court in order to uphold gun bans. Daily Bell: Whats next on the legal front? Any other high-profile cases regarding gun control on the horizon? Stephen Halbrook: I am continuing to pursue challenges to onerous restrictions that infringe on Second Amendment rights. Daily Bell: Are you optimistic or pessimistic about gun freedom these days? Stephen Halbrook: I am optimistic that the American people have always been able to understand the simple words of the Second Amendment and are willing to stand up for their rights, just as the Framers intended. Those who wish to criminalize this constitutional right will continue their mischief. Daily Bell: Any other points you want to make, or resources you want to mention? Where can readers find more of your writing? Stephen Halbrook: Please visit my website, www.stephenhalbrook.com. 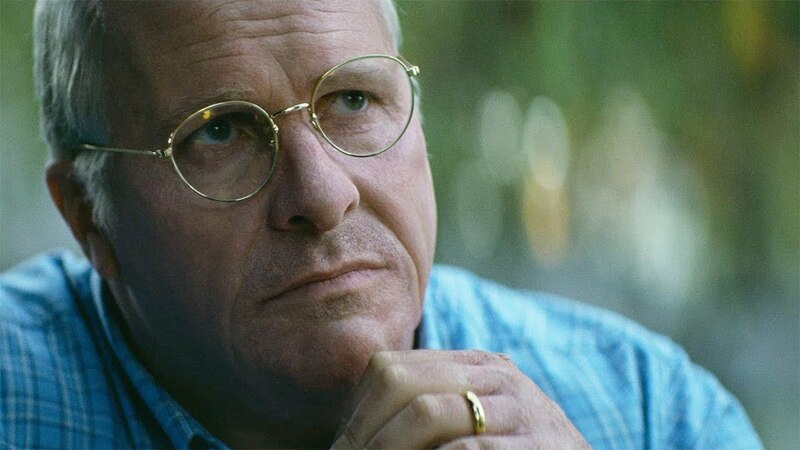 Well, it was a pleasure to learn Dr. Halbrooks views. Its thanks to people like him that the gun control movement in the US has been considerably blunted. But its not just gun control efforts that are struggling. Global warming faces considerable skepticism these days. 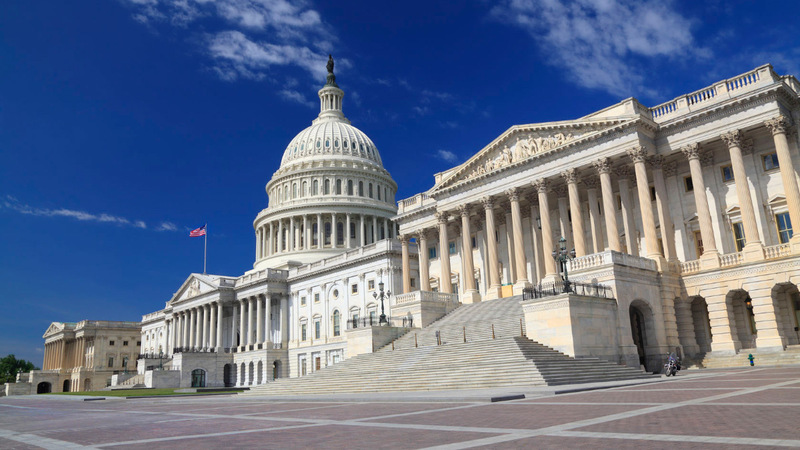 Less than 10 percent of the adult electorate approves of Congress. President Obama supposedly has a 40 percent approval rating, but we think those numbers are probably exaggerated. People dont much like Wall Street these days but central banks come in for a fair amount of criticism as well. The disease of corporatism is better analyzedat least in the alternative media. Big Pharma, Big Energy and even the military-industrial complex have all come under considerable criticism in the 21st century. Blame it on the Internet Reformation, which allows us to analyze not just individual newsworthy incidents but the trends in which these incidents are embedded. When it comes to gun control, the Internet has been especially effective because the bloody history of firearm confiscation cannot be concealed or gainsaid. This has certainly contributed to the resistance of this dangerous meme. Theres plenty of bad news for freedom and free-markets but in the 21st century, gun confiscation has not moved nearly as quickly as might have been predicted in the 20th century. Thats a trend worth noting.